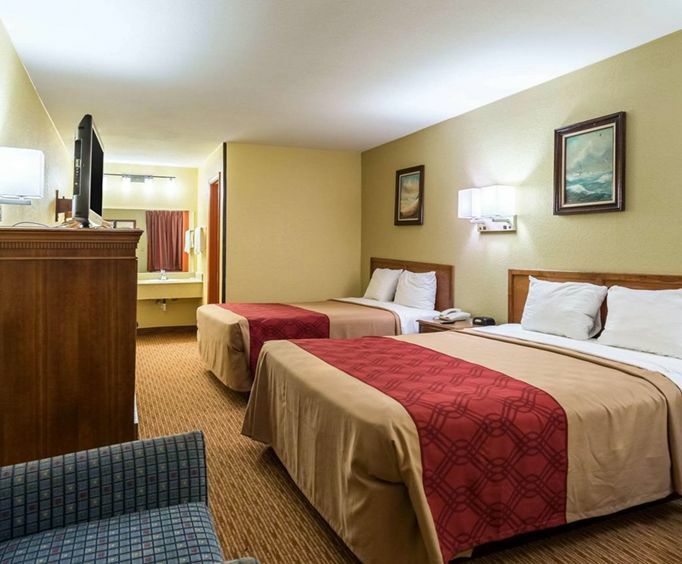 This hotel has amenities such as bus and truck parking on-site, handicap parking on site, free local calls, free continental breakfast, free weekday newspaper, guest access to fax machine services, guest access to copy machine services, microwave rental and an outdoor pool. This hotel has a spectacular view of the Offats Bayou and provides easy access to the Schlitterbahn Water Park Galveston Island, only 6 minutes away. Later, after all your sightseeing and adventures, come back and relax in the cool outdoor pool. Let the kids get the wiggles out as they splash and play and just unwind under the stars before heading back to your room to end the day. Let the smell of the in-room coffee maker arouse your senses and enjoy that cup of hot coffee to start your day off right. Then wake the family to revel in a complimentary breakfast that was set up just for you. 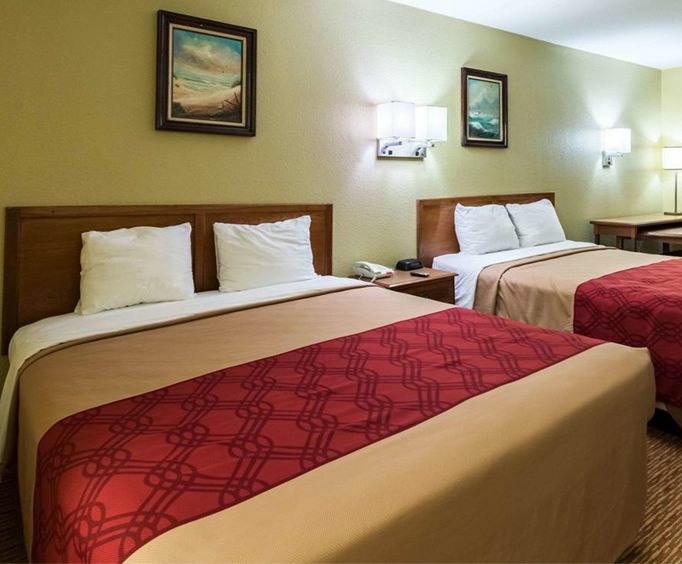 All rooms at the Rodeway Inn include free wireless high speed internet, hair dryer, refrigerator and an in-room coffee maker. There are also non-smoking rooms available. The Galveston Convention Center is only a mere 2 miles from the hotel and the Moody Gardens and the Aquarium Pyramid are less than 3 miles away where you can also take a tram ride starting from the Moody Gardens too. For entertainment and food, head on over only 4 miles away to Galveston Island Historic Pleasure Pier. Roller coaster rides, ferris wheel rides, and Bubba Gump Restaurant are just some of what this pier has to offer.